Greetings Boxing fans. We here at The Boxing Truth® would like to let our readers know that a feature regarding the future of traditional cable/satellite pay-per-view in regard to the sport of Boxing is currently in the works for the month of December. Boxing has been a fixture on cable/satellite pay-per-view television for many years. The recent fight between Floyd Mayweather and Manny Pacquiao broke all existing pay-per-view records generating 4.4 million pay-per-view buys in the United States and nearly $400 million in pay-per-view revenue. The pay-per-view broadcast however, was the most expensive on record being priced at $100 for the HD broadcast and $80 for the Standard Definition broadcast. Although the sport has seen a resurgence across broadcast and cable television recently due in large part to the success and increasing popularity of the Premier Boxing Champions series, the sport remains pay-per-view centric. 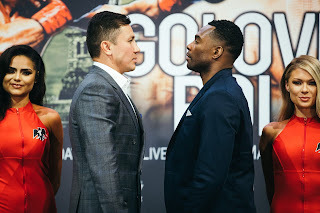 Over the next three months there are three pay-per-view Boxing cards scheduled to take place as well as a fight that may take place in November that has not yet been signed, but will likely be carried on a pay-per-view basis if it is signed. We would like to know your opinion on which of these events you are likely to buy or if you are not interested in buying pay-per-view cards. This reader poll will be open from Saturday August 8th until Monday December 14th with the feature to be released on Wednesday December 16th. Please also feel free to comment in the comments section below.